Apparently Oprah Winfrey has been having some issues working with Lindsay Lohan and we're like, "No way. Really? Are we talking about the same Lindsay? Because that's unbelievable." Oprah admitted that filming of Lindsay Lohan's new reality show for OWN has been "bumpy," but they're still working at it. At least she thinks they're still working at it. She sounded a little unsure. Oprah told E! News while on the red carpet at last night's Critics Choice Awards, "You would know more" when asked about Lohan's whereabouts. Oprah mentioned that she talked to Lohan two days ago but didn't realize she was in London at the time. Oprah responded similarly when asked if the show, titled Lindsay, was still filming "As far as I know we are—what do you know?" It sounds like Oprah was making a joke that an entertainment reporter would know more about what Lohan is up to than herself, but at the same time this is a show on her network. Of course she's not literally shooting it herself, but she should know what's going on, right? She probably does and is just a little frustrated with Lohan who isn't know for getting to work on time or being responsible or, you know, other stuff that's important if you're having a show filmed about your life. 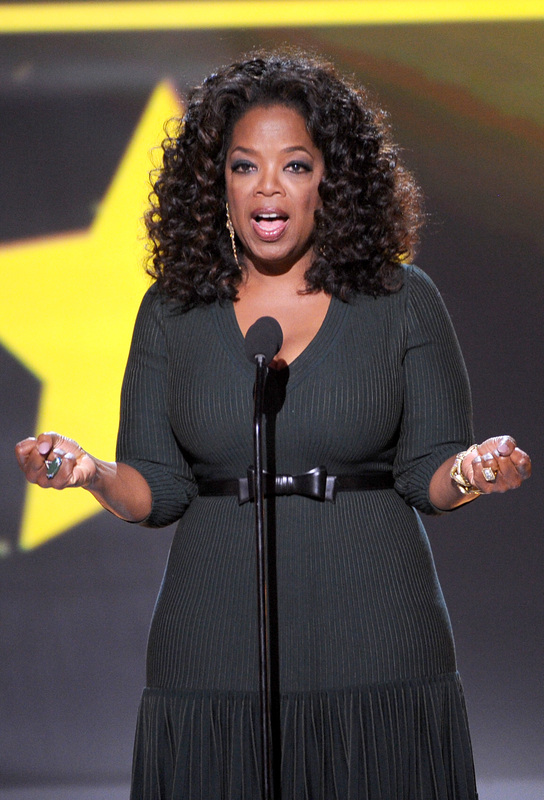 Oprah added, "There have been bumps, that's life. It's been bumpy, but as far as I know we are still filming." Lindsay will premiere March 9 on OWN. Tune in for Lindsay Lohan craziness, stay to see Oprah Winfrey angry.